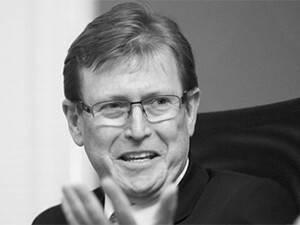 Tony Smallwood, executive head: M2M and Vertical Industries at Vodacom Business. How do you know a topic is really topical? Just count the big names who show up to talk about it. 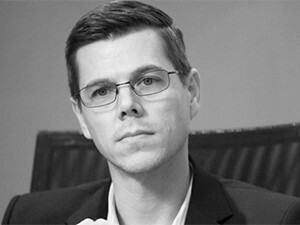 ITWeb's roundtables have long attracted the best and most thoughtful minds in the technology industry. But some occasions raise the bar, reflecting their importance to the market, and the Internet of things (IOT) is clearly such a topic. What is IOT? The answer is there in the broad strokes: it's the expansion of connectivity beyond traditional computers. Although quite worn, the example of the smart fridge that could order your groceries remains an apt one. When confronted with this question, the panel quickly moves away from establishing what one attendee calls "a scientific taxonomy". Instead, they prefer, sensibly, to define the IOT through the sum of its parts. "It's more important to ask what the components are," says Steve Yates, director of Strategy and Consulting at BT sub-Saharan Africa. "Sensors are the 'things' contributing to the IOT. Then there is security, and finally, the consolidation of data, or what I call the quantum convergence of data. That's what the IOT is to me: those three things." The IOT is not even new, adds Stuart Macgregor, CEO at The Open Group South Africa: "It's been around since 2001. It hasn't popped out of the woodwork all of a sudden." 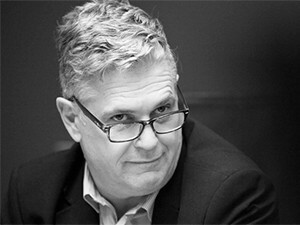 Tony Smallwood, executive head: M2M and Vertical Industries at Vodacom Business, agrees: "From an operator point of view, machine-to-machine (M2M) has been around for a long time. IOT is the next evolution of a pure M2M world, starting to look at bringing different ecosystems of data together." IOT is the next evolution of a pure M2M world, starting to look at bringing different ecosystems of data together. That's a pertinent point. The IOT, through M2M, was largely born in the industrial world of the 80s. The newer characteristics are how other industries are adopting it and connectivity being more pervasive. The IOT is also spurring social changes, prompting some definitions to include the impact of ubiquitous computing in society. "It might mean different things to different people at this point," says Sven Hansen, systems engineer at NetApp. "Consumers see the IOT as something different, such as through wearables." Sven Hansen, systems engineer, NetApp. Of the IOT's three elements, sensors are the most understood. More questions hang around the topics of security and data. The panel agrees that security is a big concern, at least partly due to a lack of universal standards. A common theme starts to rise: the IOT is not business as usual, so there is a requirement to think out of the box. "There is a concept called 'secure by design', which isn't a technology. It's a posture," says Lee Naik, MD, Technology and Digital Strategy at Accenture, South Africa. "It's ongoing. The second you stop doing it, the next threat is out there." Yates agrees on this point: "Two elements are pertinent: Secure by design and let's not secure the 'thing'. If you apply the two elements, you apply the IOT paradigm of security." He refers to the example of the London Olympics, the biggest sports event yet to run on a single flattened network: "There were 1.5 million attacks a second at the peak, but not a single one got through because of that paradigm." 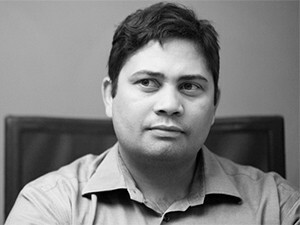 Saurabh Kumar, MD, In2IT Technologies, South Africa. There are also newer methods being deployed to secure IOT networks. 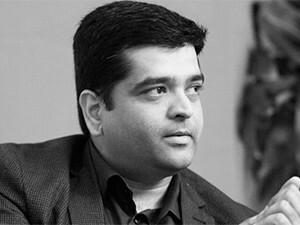 Saurabh Kumar, MD at In2IT Technologies South Africa, points out that many networks today still run IPv4, the antiquated network address protocol that considers security as optional. Its replacement, IPv6, makes that compulsory: "We have to start educating our customers that if you are going into a service provider role for IOT, it's important to move to IPv6." Block chain databases, commonly used to secure crypto-currencies such as Bitcoin are also a creative way to address security concerns, says Andy Brauer, CTO at Business Connexion: "You can pick up the sensor's address and correlate it with other information to make sure nothing has been tampered with. It's very difficult for hackers to get at that." Practically every large organisation already deploys some form of data analytics. But this is not the solution ? just the first step. As the IOT grows, companies will need to adapt and change to a new culture. "Most companies just throw technology at data," says Accenture's Lee Naik. "They design for the outcomes they want to solve. So the results tell the business what it thinks it wants to hear, not what it needs to drive towards success." It's the paradox found in the Hitchhiker Guide novels, where an alien civilisation ended up with the answer to everything, but not the question. To truly make use of analytics, there should be agreement on which questions demand answers. Yet another challenge is the sheer size of data, says Veeam's Warren Olivier: "Data is only growing and is making it harder to make sense of." NetApp's Sven Hansen shares that concern: "It will require artificial intelligence, but I also don't think we're quite ready to hand over the keys of the kingdom to an analytics engine. It will happen, but we're still at the infancy of that." According to Vodacom Business' Tony Smallwood, though, that is further along than even some panellists think: "There are projects in play that are purely analytics-driven, based on a sensor in a fridge, kicking off an entire workflow process. This even happens at an inter-organisational ? between enterprises ? level." Yet as the IOT allows for new and creative solutions, it also broadens the market to what may be an uncomfortable swathe of users. A common dynamic seen in smart solutions is the involvement of industries that have held technology at arm's length. For example, connected cars bind technology vendors and the more erstwhile motor industry. It cannot be assumed that technology companies will be the natural leaders of IOT strategies, not unless incumbents are happy to relinquish some of their control. At the same time, the surge of business interest in technology is also a concern. In recent years, technology advocates have had to step in behind business demands. This is mildly disruptive if the company wants to deploy a new e-mail application. It's a tad more complicated with the IOT, which, if done right, should transform the company entirely. "For the past 15 years, companies have been moving towards services-orientated architecture. Get the internal old IT environment to integrate with an outside environment," says Kumar. "But when you bring in a new technology like IOT, you're tempted to use the same enterprise service route to integrate things. The challenge here is that most IOT initiatives are business-led, not IT-led. This can create new silos and not integration with the whole enterprise. Yet the real long-term value of the IOT comes when the organisation as a whole is impacted and transformed." This is not to say the IOT should be led by technical departments. It's a business revolution ? and for good reason. The IOT was born on industrial floors, where engineers ? not technology architects ? hold command. As such, the IOT is spoken of in the language of whatever part of the business it engages. "The IOT came out of the industrial world," says Macgregor. "It's always been there ? IT has just become more aware of it." The IT world should take note of this distinction and beware of over-engineering solutions. Naik relates an example of teams wasting time trying to find the right sensor for a certain job involving cranes. In the meantime, two technicians simply bought a bunch of cheap smartphones and stuck them to the cranes with duct tape. "Two of the phones got lost, but they ended up with all the data they needed. Sometimes we get too fancy and that gets in the way." Two elements are pertinent: Secure by design and let's not secure the 'thing'. This is not to say the IOT leaves IT out in the cold. Instead, there is an onus to bring solutions and value to the business. Although IOT was born in business, it's the IT side that can really see its potential. For example, the CIO of Formula 1's Team Williams wooed engineers by building an analytics engine that analyses existing tyre sensors on the cars. By showing them how the data can shave time off laps, it got the CIO invited into the engineering circles. Business leaders, though, shouldn't feel too hawkish about taking the IOT reins. Doing so comes with some big responsibilities. One is to be very sober and serious about the role of IOT in a company. But before discussing that, there are also legal ramifications at hand. Stuart Macgregor, CEO, The Open Group South Africa. "IOT sits at the board regulatory position," says Warren Olivier, regional manager at Veeam South Africa. "That is why standards are important." Macgregor agrees: "With King III corporate governance, we're seeing enterprise architecture emerge as the linchpin between corporate governance and IT governance. The accountability of the architecture vision is now that of the CEO. It's being put at that level." Yates adds that digital risk should be part of any company's risk register: "It's a board-level discussion that should be taken very seriously. We've seen C-class people being fired over this ? and not necessarily the CTO or CIO. But is it being taken as a board-level risk yet? No. Until it is, we will see some great (security) meltdowns." So that ship has sailed: business leads IOT, so business is also responsible for IOT's follies. The upside is that business creates the vision for its IOT journey, says Hugh Sonn, executive project manager at Dark Fibre Africa: "It's all about understanding how our businesses will react to the IOT and how we feed into that. What does the IOT mean to a company?" The challenge here is that most IOT initiatives are business-led, not IT-led. Smallwood puts this in a more frank light: "The IOT does not originate in IT, but in the business with an outcome that gets defined with an IT input component. Leave IT out until the business has defined what it expects from IOT." But companies should be careful to not go all-in at once. The IOT is very disruptive, particularly its talent to deliver real-time information and create new customer experiences. "IOT business models are very different to traditional enterprise models," says Brauer. "That is a conflict that can really rock your business. So it's better to start something up separately and use that to find the way forward." Hugh Sonn, executive project manager, Dark Fibre Africa. Yet this business-originated process has the danger of encouraging shadow IT ? the practice of deploying IT solutions in a business without the IT department's involvement. The panel disagrees on whether this is a good or bad thing, but their opinions align on the following: IOT shadow IT will happen, likely because of a lack of operational IT agility. The technologists in a firm often inhibit new innovations, so they must cultivate a higher level of involvement, such as seen in the Williams F1 example cited earlier. The conversation has generated many other topics, such as privacy concerns, the need to focus on a smart enterprise over implementing smart objects, and the challenges of connectivity. For now at least, the debate around the IOT is the equivalent of asking about pieces of strings or angels on a pinhead. It demands that the market come to its own conclusions and answers. What we should not do is treat the IOT like every other technology before it. That would be our biggest mistake.